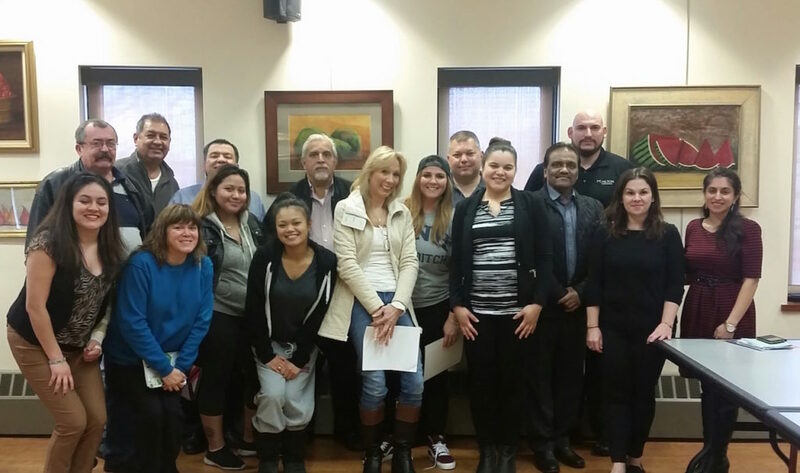 Secaucus, NJ – On Thursday, April 7th, 2016, seven Secaucus alcohol retailers participated in the Techniques of Alcohol Management and Service Training. A grant from the Governor’s Council for Alcoholism and Drug Abuse has made this seminar available free of charge for all Secaucus Alcohol Licensees in an effort to provide support in helping improve our community. The Secaucus Coalition for a Healthy and Drug Free Community and the Town of Secaucus are proud to recognize the following businesses for participating in the Techniques of Alcohol Management and Service Training – a 4 hour seminar nationally recognized as the leading program in safe and responsible alcohol service. Bareli’s Restaurant, Charlie’s Corner, Cheeseburger in Paradise, Embassy Suites, Krauszer’s, Meadowlands Convention Center and Route 3 Liquor Store. 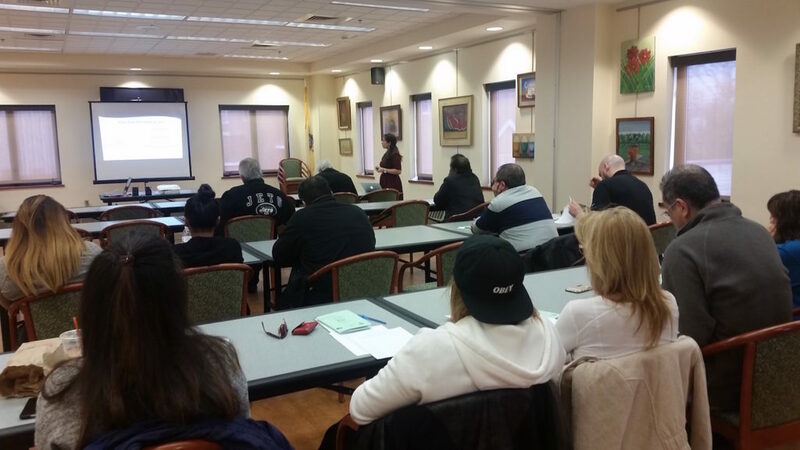 The Techniques of Alcohol Management Training was hosted by the Secaucus Coalition for a Healthy and Drug Free Community in collaboration with Partners in Prevention and the Town of Secaucus. The TAM Training provides retailers and their employees with fundamental skills to recognize potential alcohol-related problems, prevent intoxication, underage drinking and to identify fake IDs while providing quality service to all customers. The Coalition’s Vice Chair, Ms. Rashmee Shenvi gave a presentation at this seminar on key findings regarding youth’s drug and alcohol abuse issues. During her presentation, Ms. Shenvi shared key components that must be addressed and the importance of community collaboration. Coalition members continue to work with the Secaucus ABC Board to ensure that participating businesses are acknowledged for their efforts. All participating businesses are thanked for their interest in providing safe and responsible alcohol service; and for supporting our community’s prevention efforts to build healthier and safer environments for youth and families in Secaucus. Members of the Secaucus Coalition for a Healthy and Drug Free Community meet every third Wednesday of the month. For more information about the Coalition and how you can get involved please visit us at www.drugfreesecaucus.org or call (201) 330 2000 Ext. 3164.